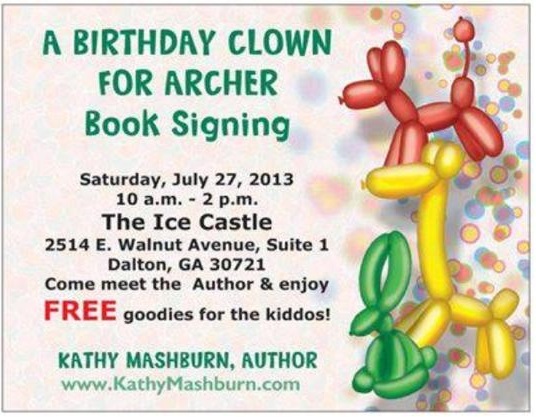 Today between 10am and 2pm +Kathy Mashburn will be at the Ice Castle in Dalton signing copies of all 3 books in the A Birthday Clown for Archer series (English, Spanish and colouring book- all illustrated by yours truly). The event is more than just a simple book signing though. 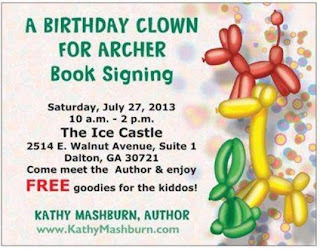 As well as the chance to get a copy of the books with a dedication and autograph by Kathy, there will also be free ice-cream, fun goodies for the kids and Mindy the Clown. 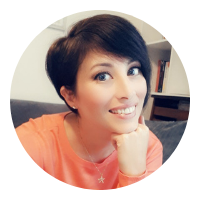 Unfortunately as I live in Rome, Italy I won't be able to make it to the event myself but if you're in the area please drop by and show your support.